No December meeting as we are meeting for Christmas Lunch. 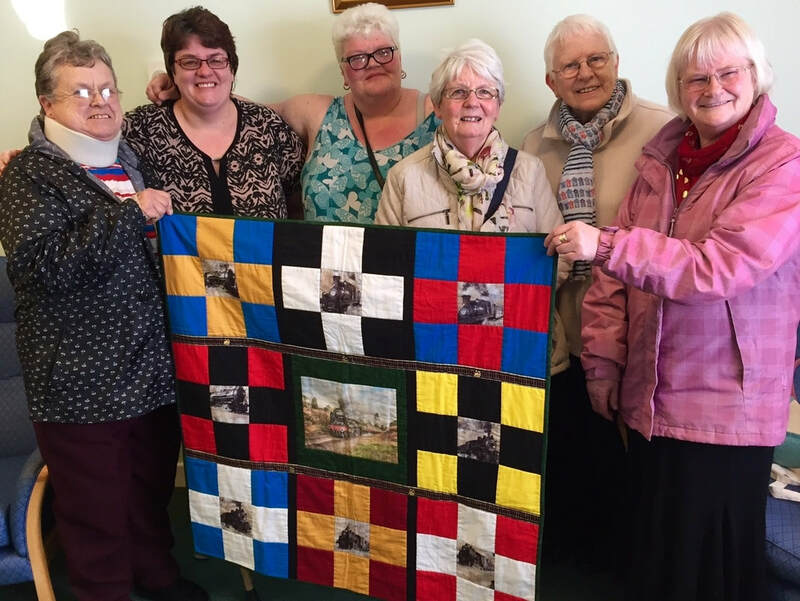 ​Some Hawick Carers with the quilt we produced with funding from the Borders Railway Celebration Fund. Each panel features the Borders Town colours with the Flying Scotsman (the train the Queen visited on) in the centre.